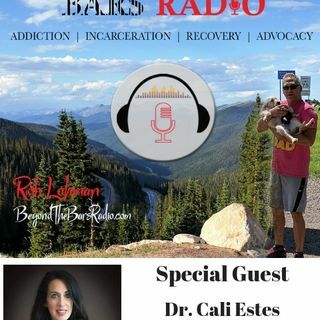 Cali Estes, Ph.D is an author and highly sought after Addiction Therapist and Life/Corporate Coach who specializes in harm reduction and utilizes holistic approaches to treat addiction, as well as mental conditions holding her clients back from reaching their full potential. She works with individuals, drug and alcohol treatment teams and addiction professionals looking to advance their knowledge base. Dr. Estes has over 20 years experience working with drug, alcohol and food addictions. Her ... See More deep understanding of drug and alcohol addiction, including the behaviors and ramifications that are associated with it, place her at the top in the field of addiction therapy. Dr. Estes is an interactive, solution-focused Positive Psychologist and Cognitive Behavioral Therapist. Her unique no-nonsense approach of cognitive behavioral therapy, positive psychology and life coaching combine to provide the perfect support for an addict. Dr. Estes’ background in food addictions and the emotional and physical tolls it takes on one’s psyche and physical well-being is highly unique. Dr. Cali Estes is a #1 Best Selling Author on Amazon has been featured on CNN, NBC, CNBC, CBS, FOX News, LA Times, Yahoo! News, Philadelphia Inquirer, Reader’s Digest, Entrepreneur Magazine, MSN Money, Max Sports and Fitness, San Jose Mercury, The Fix, Dr. Drew, People Magazine, Washington Post, Yoga Digest, Reader’s Digest, and more. She was also featured in a riveting documentary about addiction, Gone Too Soon: The Story of Emily Cooley. Dr. Estes is a Certified Masters Level Addiction Professional. She holds a Ph.D from DSU in Psychology and Life Coaching, a Master’s Degree from WCU, and an undergraduate from PSU, International Certification as a Drug and Alcohol Therapist, Master Certified Addictions Professional, as well as 24 certifications and over 20 years of experience as a Personal Trainer, Yoga Teacher, Pilates Teacher, Food Addictions Specialist and Life Coach. Her unique approach to get to the root cause of the problem with each client and relate on a humanistic level makes her desirable in this industry. Dr. Estes is more than a ‘sober coach’. She has a background in clinical and personality psychology, addictions and forensics and has been featured on NBC, CBS, CNN’s Don Lemon, MSN, Dr. Drew Podcast, Washington Post, Fox News, The Los Angeles Times and many more. Click here for more information on Dr. Cali Estes.